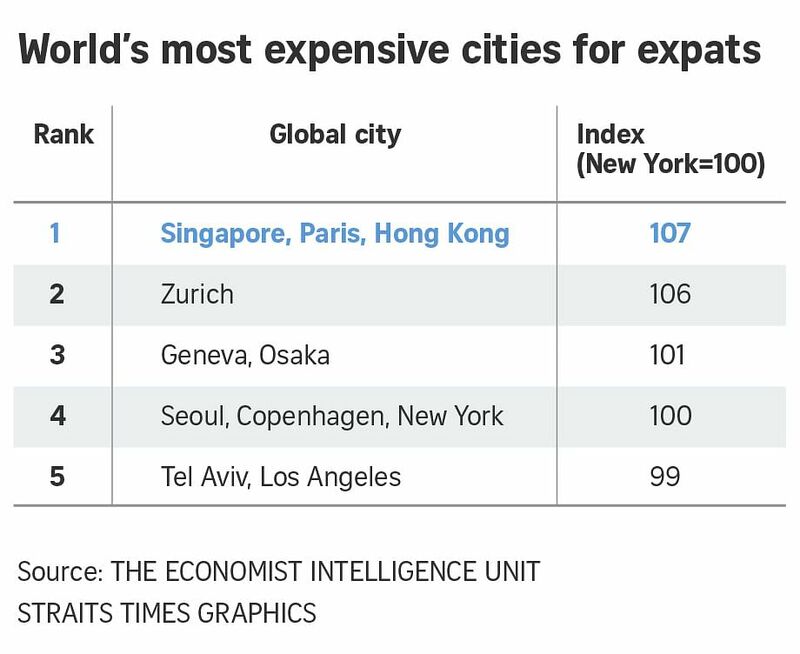 TBILISI (REUTERS) - Paris and Hong Kong for the first time joined Singapore as the world's most expensive cities for expatriates to live in, a study revealed on Tuesday (March 19), with utilities and transport driving up the cost of living. Urban planners need to plan and build more housing to keep prices affordable and overall costs down, Breach told the Thomson Reuters Foundation. A woman's haircut was about US$15 in Bangalore, India, compared to US$210 in New York, for example, while a bottle of beer was about half a dollar in Lagos, Nigeria, and more than US$3 in Zurich.